Unicorn head with Point Drop Necklace. 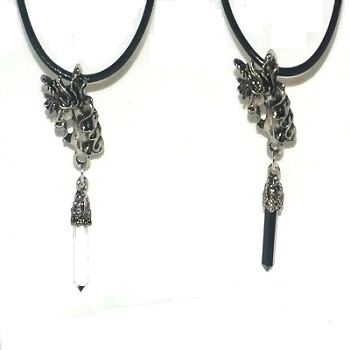 The black cord necklace is about 24 inches in length. The point drop is either clear or black. All measurement are approximate.